I enabled Device Support in settings, rebooted, but I can't see "Audio input". I'm trying to animate shapes based on sound (external file or mic recording). Anyone can help? Sorry, I'm a little out of my depth here. I played around a bit using both the audio input and audio player devices but was not able to generate a movie (except in a limited way). 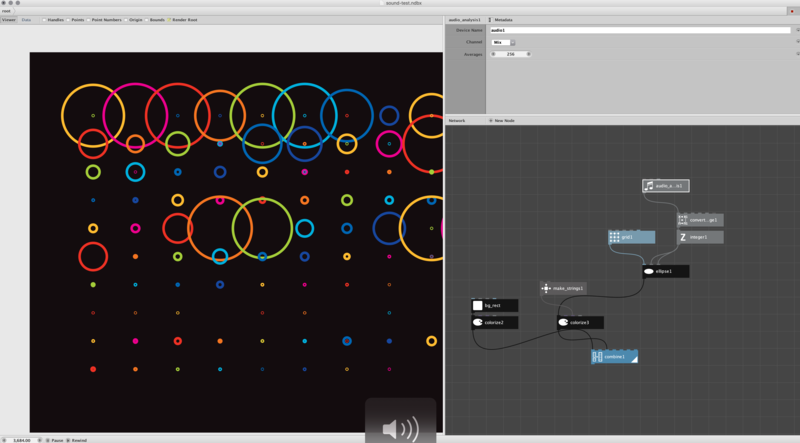 I'm not sure it's even possible to generate live audio visualizations and record a movie at the same time in NodeBox. I did discover that screen recordings work pretty well, so that's an option. Simple movie attached. Frederick, Lucas, can you confirm? Is there any way to export live visualizations as movies? "in preferences check device support. Then in the file menu select devices and add an audio player or audio input. Then get an audio-analysis node." So "Audio Input" is not a node. It's a device type which you can add in the Devices dialog. When I tried this it worked for me. 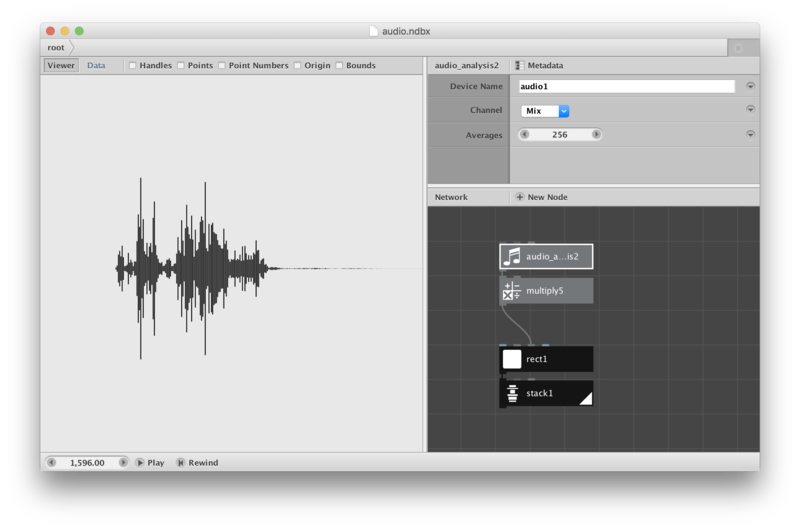 Attached is a very simple audio sampler. To try it launch the Nodebox file, under File/Devices click the Start button on audio1, close the dialog, hit play, and start talking or play music. 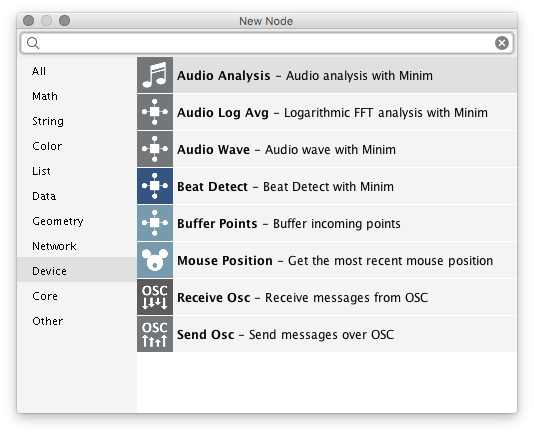 There are several audio nodes other than the Audio Analysis node. I don't know how they work, but it would be fun playing with them. Search for Minim on the web for clues. If anyone comes up with an interesting visualization please share! Hello, we don't currently have a way of exporting live animation and sound. I don't know how easy/difficult it would be to implement this, but I agree that it would be a nice addition to the program.